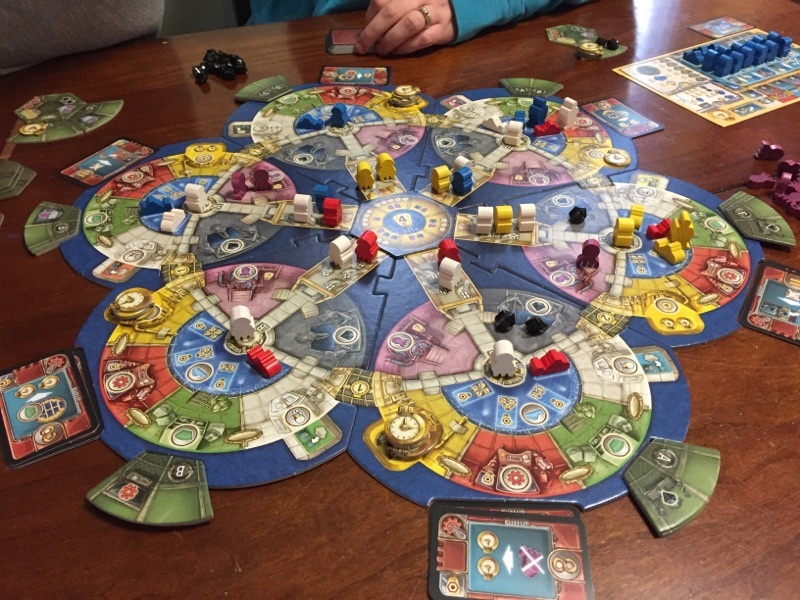 Best 3 Games with…Designer Stefan Feld! I will first start off by saying I have not been a very big Stefan Feld fan. His games are usually hit or miss with me….they either hit really good or hit really bad. For instance, I do not like Trajan very much at all. I thought it was just all over the place solely for the sake of doing stuff. I will say I have only played it once, so perhaps with more plays I would learn to like it. Bora Bora is the rare exception, as I don’t mind playing it. I like the theme and the mechanisms in it and it grew on me with more plays. 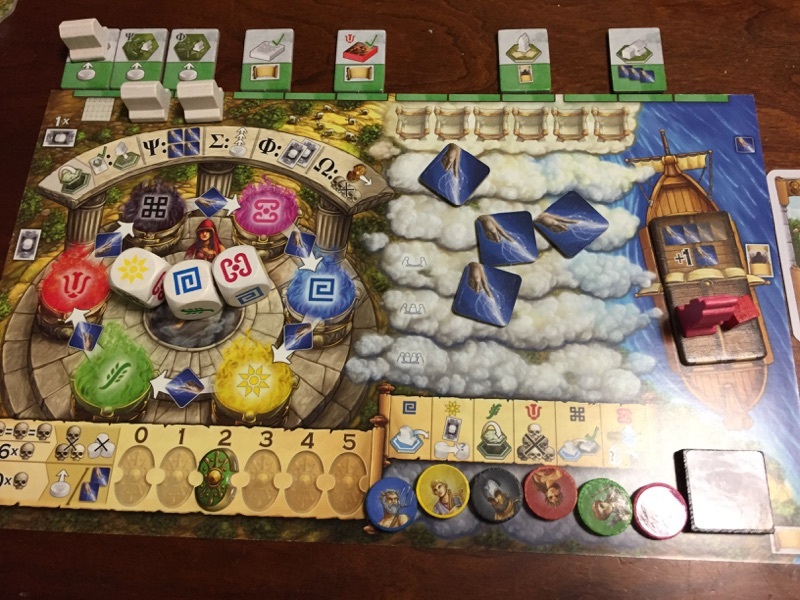 I am wanting to get Notre Dame when it gets a reprint and Alexander in our group has Luna that we have yet to get to the table. I have not played all his games but I never shy away from playing them. So lets see what my Best 3 Games with…Designer Stefan Feld! are. The Oracle of Delphi was a complete shock to me. This was one game that I was not interested in playing at all. I had watched some videos on it and every time, stopped watching them half way through. I didn’t care for the theme or the style, BUT after playing it, it immediately shot on this list…..I really like it. It is so far from his other games that it stands out. I love that it is a race game, I love that there are no points, I love the dice for actions. It amazes me that he was able to make a game that felt like one of his previous designs but winning conditions are completely different. All of his games have tons of choices and most of them give you points. Timing is key of when and how you can maximize your points. In The Oracle of Delphi, you still have that feeling of having tons of choices only you need to do them timely and efficiently in order to get accomplish certain tasks. There are no points but the feeling of doing things in a quick and timely manner. It’s all about maximizing you turns….and it is great! There is a reason it made my Top 10 Games Released in 2016 list. Okay, this was another shock to me. Grant bought this at GenCon last year from the CoolStuffInc. booth for I think $10. I had heard good things about it but didn’t really know to think of it. I had never watched a video, never looked at it with detail, it never really came across my radar…..but man do I wish it had. I would have owned it! Still might at that price point! There is such a great puzzle to this game that just makes your head hurt…..but in a good way. There are certain actions that need to be completed before you can do other things. Kinda like in games where you need to make sure you send a person to the market but there needs to be someone to tell the person what to get at the market. I mean we are talking about robots! They need to be told EVERY THING. There are a plethora of choices in this game that, like Felds other games, can not all be done. You need to choose a path, get tiles to help you on that path and just stick it out to the end. This was such a good surprise and I really hope to play it more…..Grant! This is hands down my favorite Feld! It is hard to explain though…..it barely has a theme, the art is not great, there are points every where….all things that should bother me….and in this game they are a non-issue. The rules are really quite simple, roll 2 dice and do two actions with them. The actions you take are determined by what is on your dice. The turns are super quick and most of the time the decisions are quick to make. There is hardly a turn where you feel like it was wasted, it is either to set you up for future actions or a get points now kinda thing. The game is just so smooth! Being able to play with different boards so that each player has a different strategy, it seems every round, is quite excellent. I have played this with my gaming group and my wife and 8 year old and they have all loved it. Any time some one even hints at wanting to play Burgundy I pull it from the shelf.